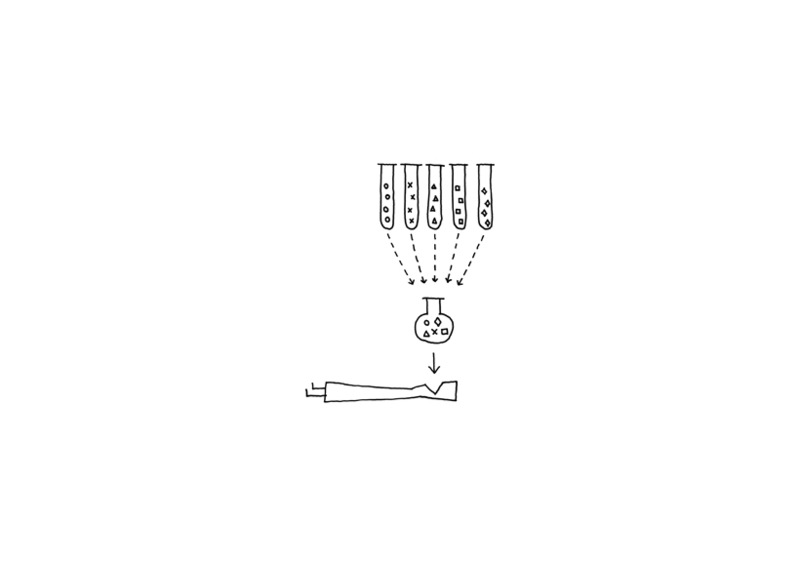 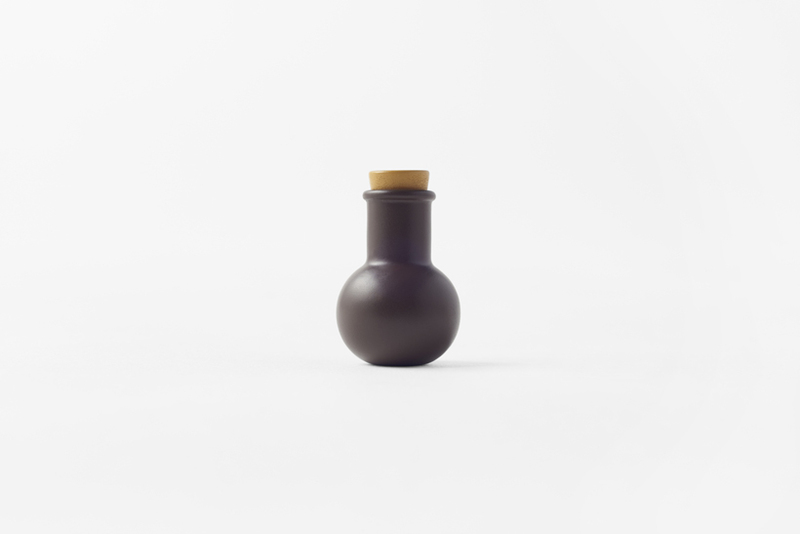 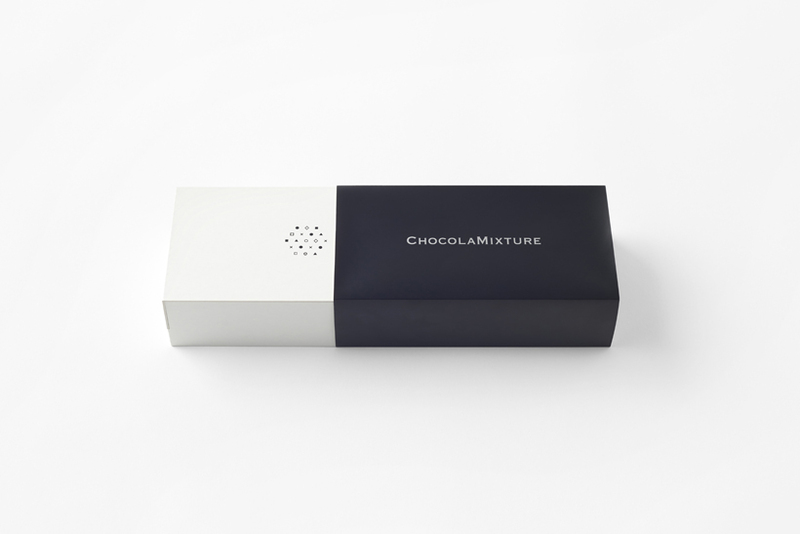 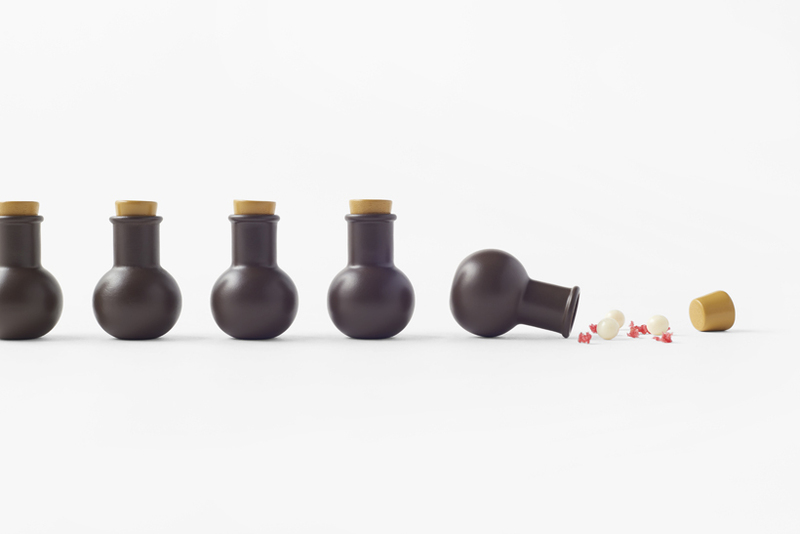 Just in time for Valentine’s Day, the Japanese design firm Nendo has announced their latest venture into chocolate. 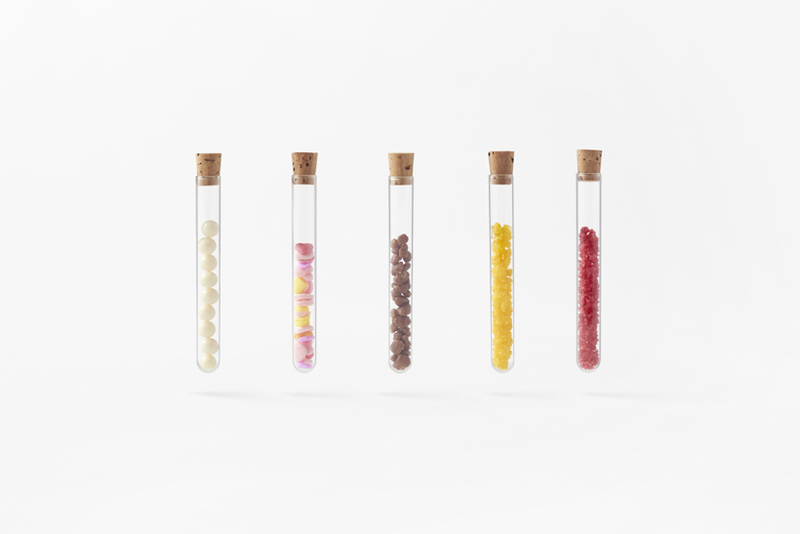 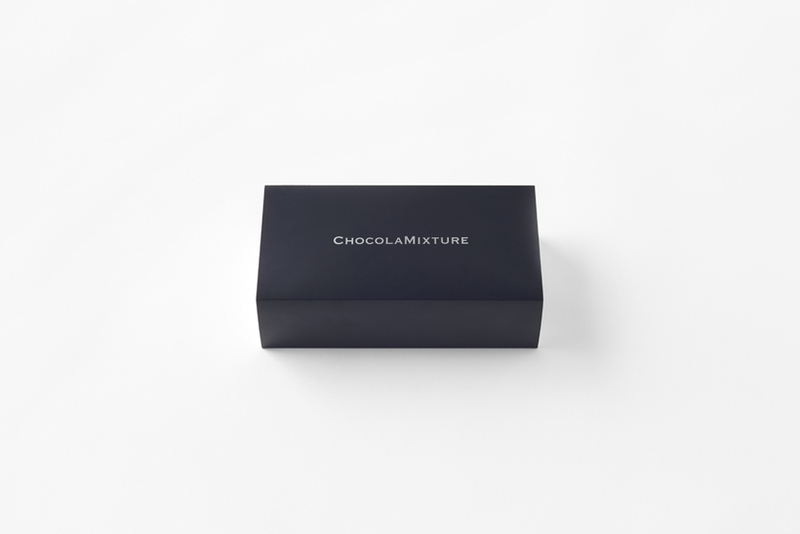 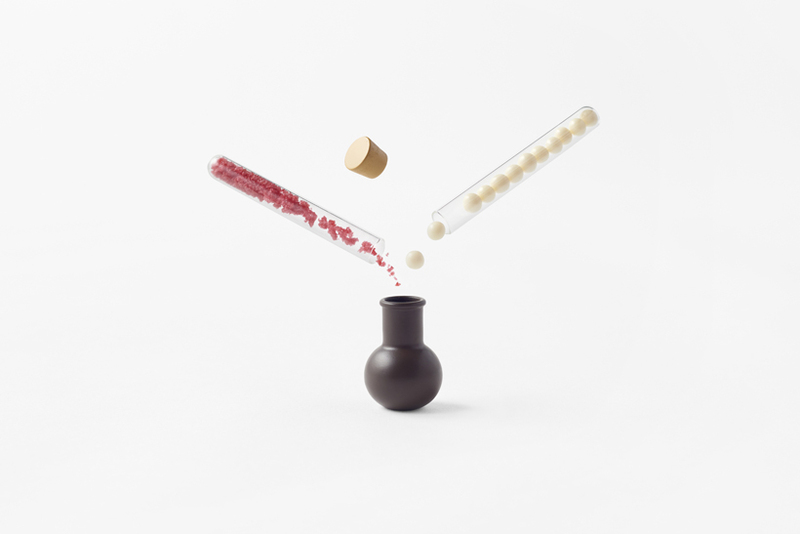 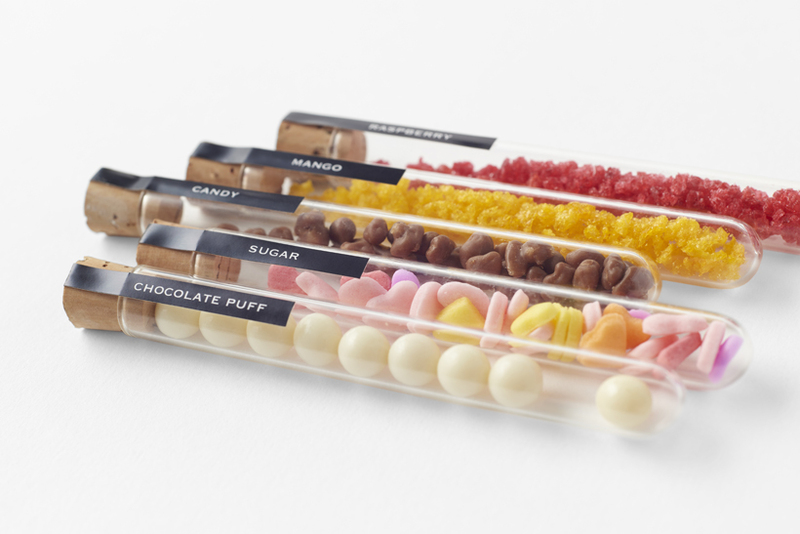 Following their recent experiments with chocolate made in different textures and in the form of a paint set, Nendo’s chocolamixture consists of little flask-shaped chocolates that come with five different flavors in miniature-sized test tubes: freeze-dried mango, freeze-dried raspberry, a popping candy that bursts in your mouth, three colored heart-shaped sugar candies, and chocolate puffs. 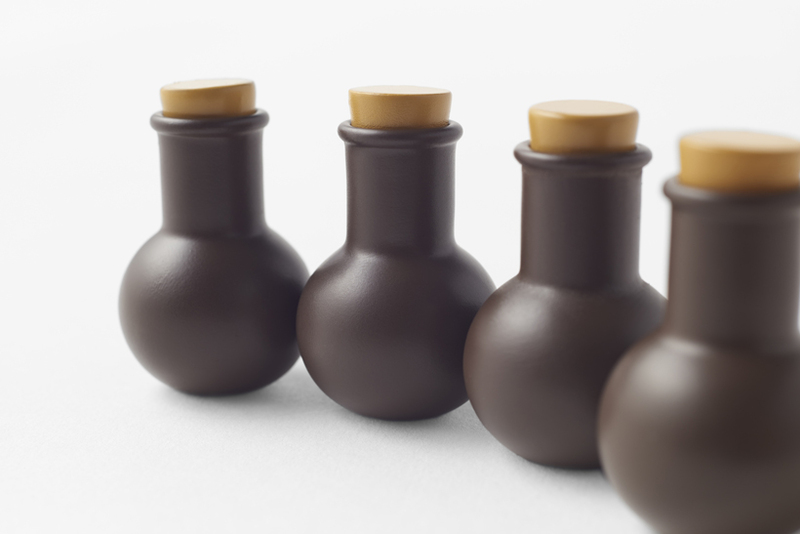 Even the lids of the chocolate flask are made of white chocolate that has been smoked to develop a cork color. 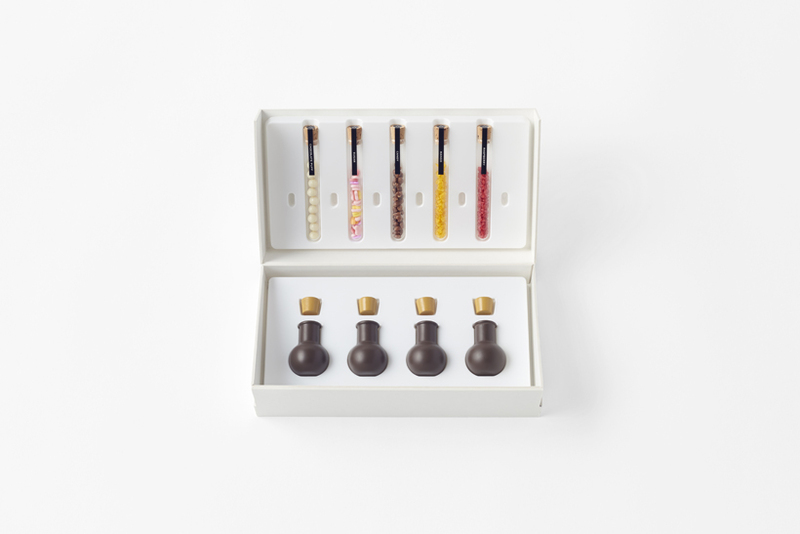 As with many of Nendo’s edible delights, these chocolates are unfortunately only available for purchase in Japan.